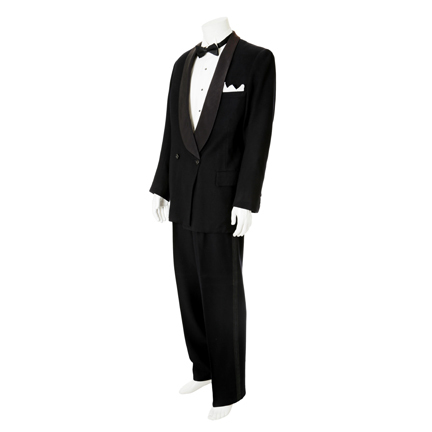 This tuxedo was worn by the character “Ray Henderson” portrayed by Dan Dailey in the 1956 motion picture “The Best Things in Life are Free”, starring Gordon MacRae and Ernest Borgnine. 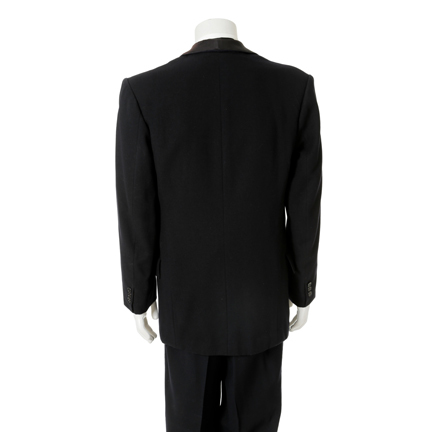 The black wool cashmere blend double breast tuxedo has a silk faille shawl lapel, slash breast pocket, two lower flap pockets, and matching pants with side stripe. 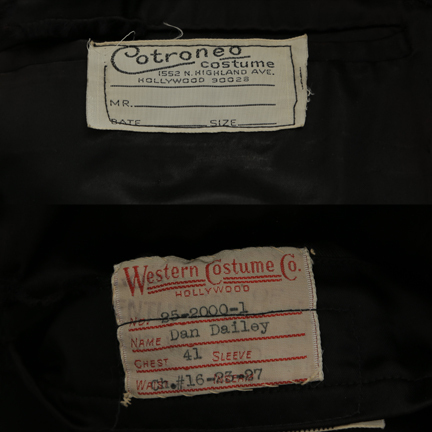 Internal Cotroneo label an original Western Costume label “25-2000-1, Dan Dailey, chest 41, #16-23-97” typed in black ink. 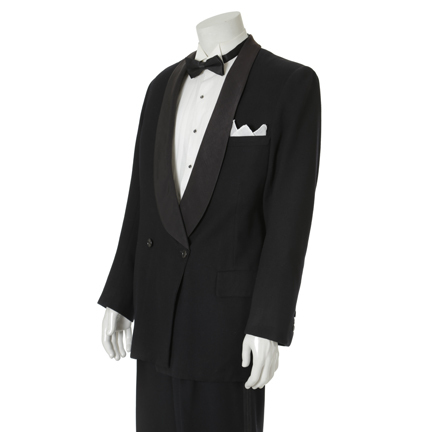 Tuxedo shirt, bow tie, and pocket square are for display purposes only and are not included in the sale. 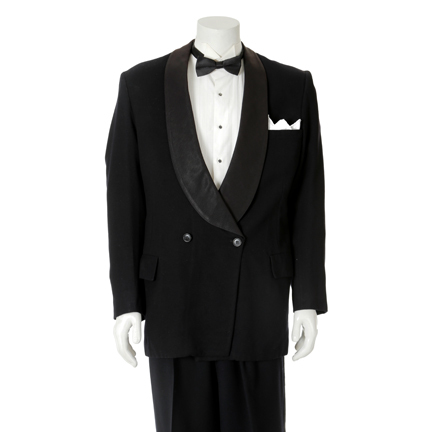 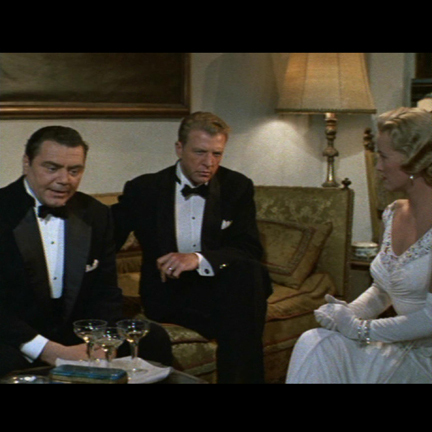 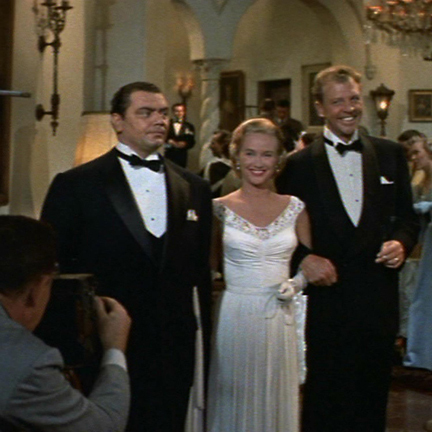 Mr. Dailey wears this tuxedo throughout the second part of the film, when he attends the opening night of writing partner, “Buddy DeSylva’s” (Gordon MacRae) new musical. 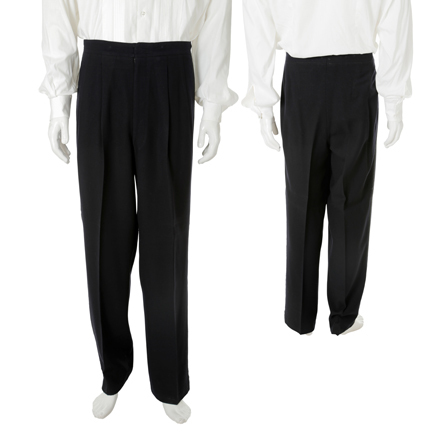 Costume design by Charles Le Maire. 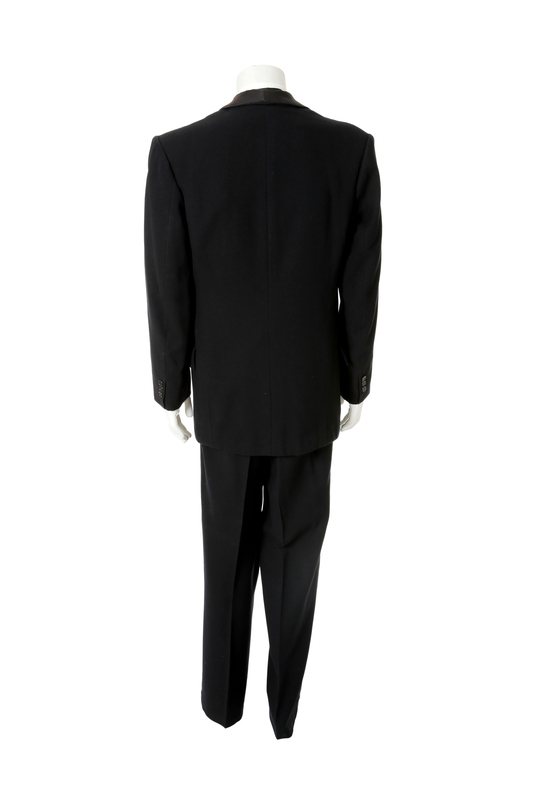 “The Best Things in Life are Free” is a musical biopic about a team of three real-life song writing team of Buddy DeSylva, Lew Brown, and Ray Henderson of the late 1920s and early 1930s. 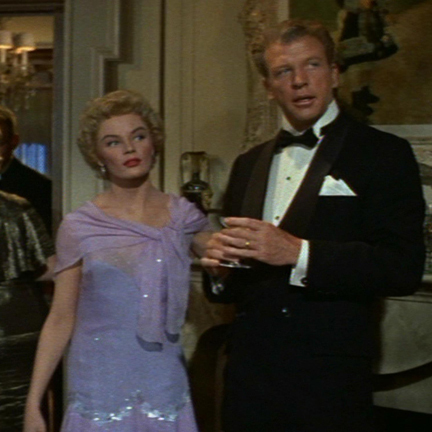 This film received an Oscar nomination for “Best Music, Scoring of a Musical Picture." 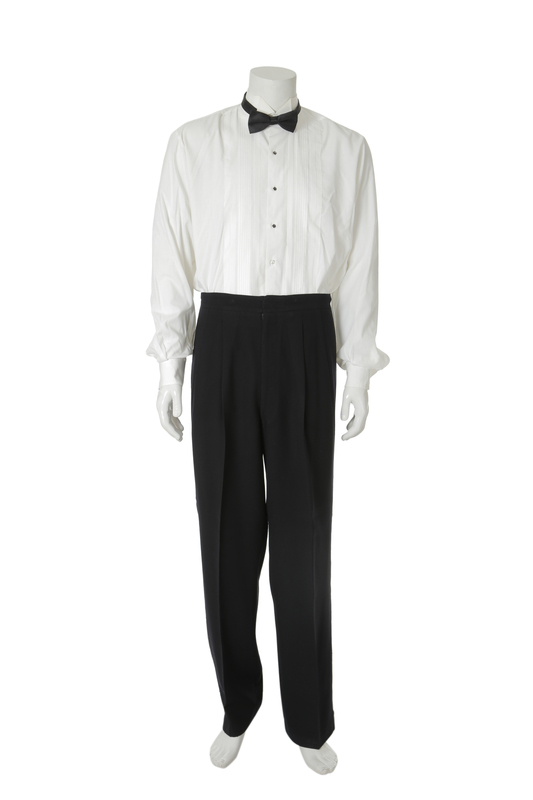 This costume was acquired through inner industry purchases or loss and damage trades. 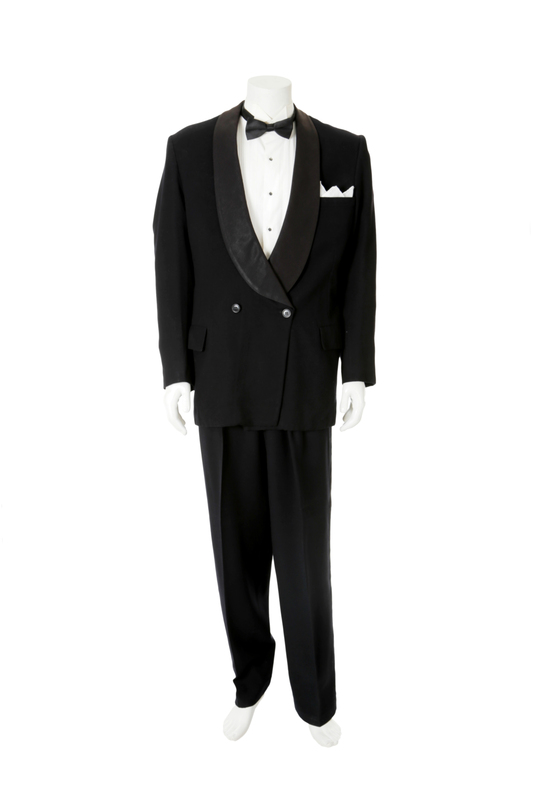 This tux is absolutely gorgeous and that fabric is in excellent condition and is accompanied by a letter from the costume house.